Fire Roasted Cinnamon Twists Video Recipe! 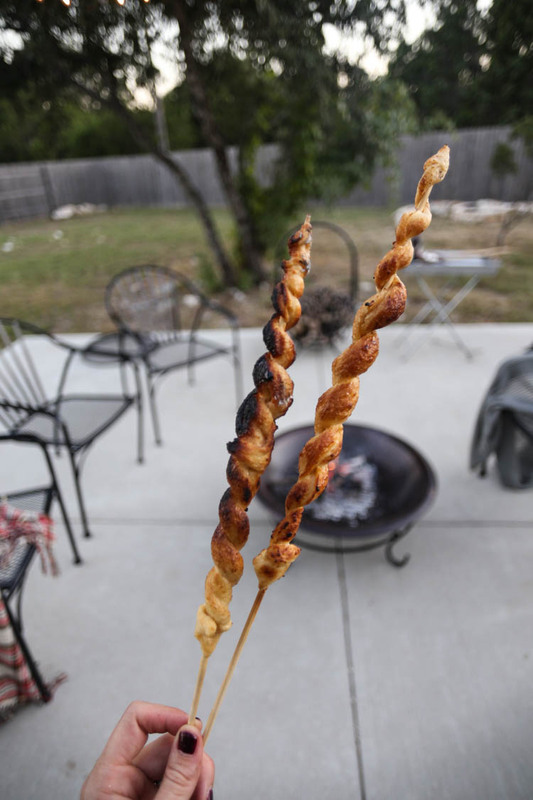 Ah, the transition from the hot hot heat of summer into the slightly cooler evenings of fall has me dreaming of my fire pit and these amazing fire roasted cinnamon twists. I shared the recipe last year on the blog, and today posted a YouTube video sharing the full how-to! YouTube is my new platform for sharing more stories, details, and dynamic content with you, and if you are not yet a subscriber, I invite you to hop over to the Live Free Miranda channel and hit that little subscribe button. My goal is to post a new video every Wednesday, and so far I’m doing well–with the exception of a couple weeks of vacation that I ended up sharing on Saturday instead. I feel like once a week will be a fun challenge, and it it pushing me to explore a new medium (video) and think about sharing in different ways. I love it. I created the Fire Roasted Cinnamon Twist Recipe video in partnership with HomeRight, who I really love. We started the fire in our backyard fire pit using their ElectroLight Fire Starter. It is an electric fire starter that looks like a giant curling iron and works like a giant blow drier, basically. The blowing hot air ignites the fire, and is also very useful later for stoking it without any fanning or blowing. 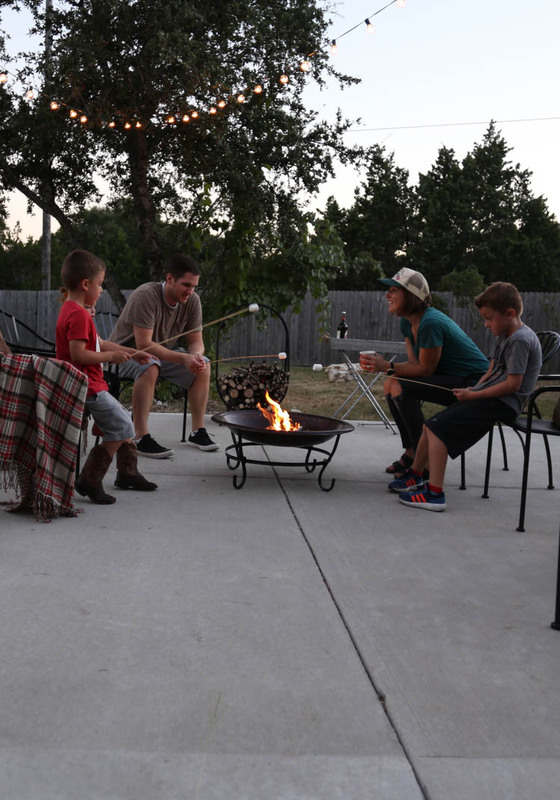 For a backyard pit or an indoor wood-burning fire it is ideal. The need to plug it in makes back country camping applications a little less-so, unless you have access to an AC power source. Our minivan happens to have an AC outlet in the back (I didn’t even know those existed until I bought it!) which means we will be adding the Fire Starter to our camping box and bringing it along when we go. And speaking of my minivan, did you catch the YouTube video I did with HomeRight about how to clean your super gross minivan using the AutoRight Steam Machine? So real. So real. Check out my videos and let me know what you think! And then go make yourself some fire roasted cinnamon twists. You’ll thank me!